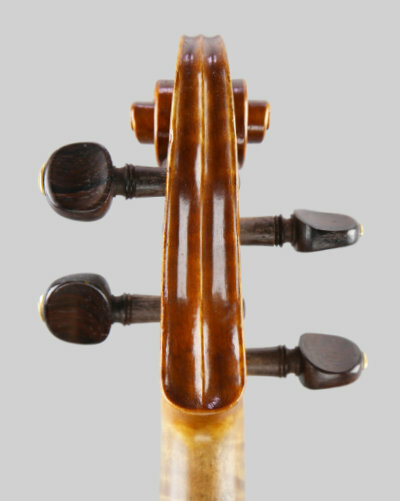 WP21 - A Marc Laberte violin. 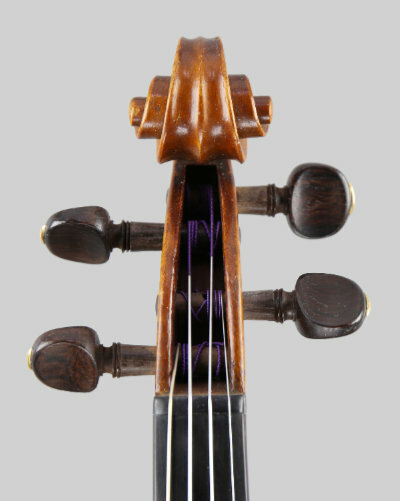 WP21 - Marc Laberte Violin. 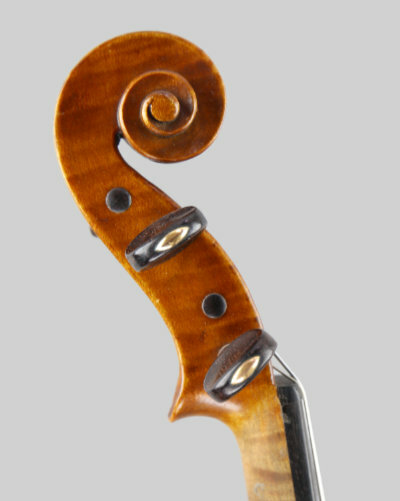 Violins labelled Marc Laberte are always quality Mirecourt instruments, many were finished by himself with his assistants doing the initial work. This example is in nice clean condition without any repairs, just very minor varnish imperfections. The length of the back is 14 inches (35.6cm.). Set up with ebony fittings, new Dominant strings and supplied in a new case, please note! the chinrest is a different pattern to the one shown in the photo. A good strong tone with a warm sonorous bass capable of delicacy and warmth but also with ample power. Excellent value! WP153 - Charles Louis Bazin.